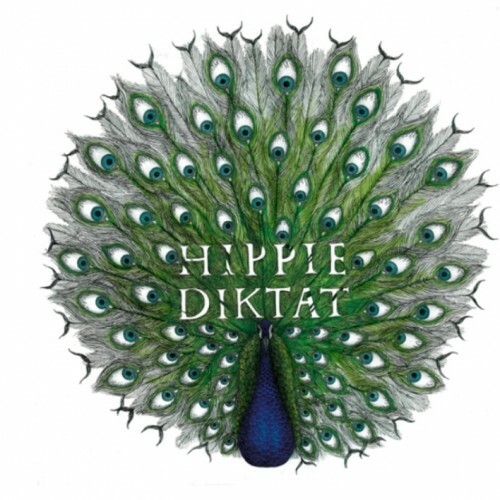 Hippie Diktat is a trio who has got the French answer of the Zu sound. The radical sound is based on saxophones, jazz drums and sometimes low and heavy sludge riffs. The overwhelming sound is not for the average crowd but they structure it in a way there are actually songs. No voices are included, everything is instrumental. At first sight that’s enough the trio has to offer. The title song (the first on the disc) is getting weirder and faster towards the end. This is how a combination of noiserock and jazz need to sounds. The second one “E. Peacock” is starting with a typical dissonant riff with staccato drum pattern not unlike Shellac; in the same range the saxophone is added but I would’ve expect the saxophone would stride against drums and guitar instead of taking the same ride. Next ones “Deaf Can Dance” and “Full HD” continue in the same way with a similar guitar riff and drum part. After the first song I would’ve expect more chaos and experimentation. Luckily halfway through “Full HD” there is a change; unfortunately it’s only for a short time. It would be nicer if the band continued the chaos for a few minutes more. High hopes for the last song “Angoisse” where feedback in the end is added as a new secret weapon. Heavy riffs with feedback are fighting the saxophone crazy outbursts. Again the improvisations stay within its limits if the trio doesn’t want to over the edge. Nowhere the song becomes too crazy you can’t handle it anymore. Or is Hippie Diktat just trying to bring their jazzy noiserock with a piece of subtlety?